5 Dec. 2015 – EAD honors 4 Alumni for professional and academic excellence at annual gala celebration! 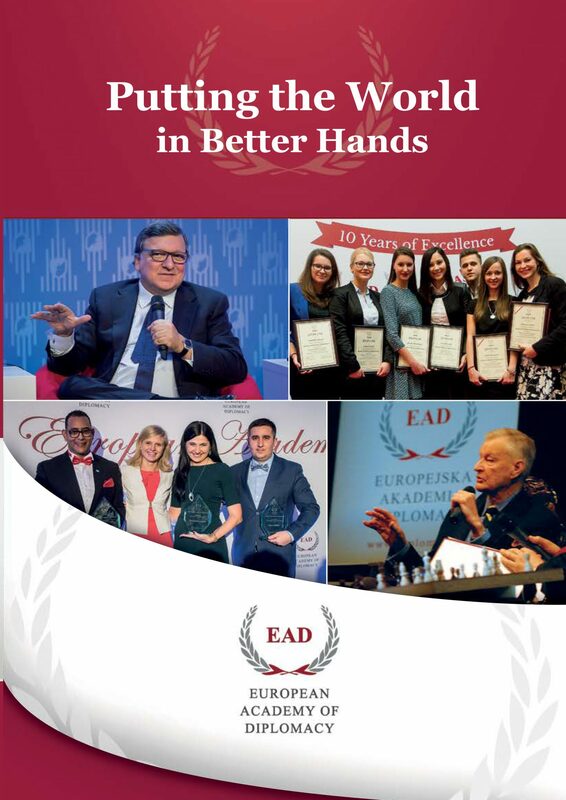 The European Academy of Diplomacy is proud to announce the presentation of the 2015 Alumni of the Year award to 4 exceptional young leaders whose experience embodies the mission and values of the European Academy of Diplomacy. 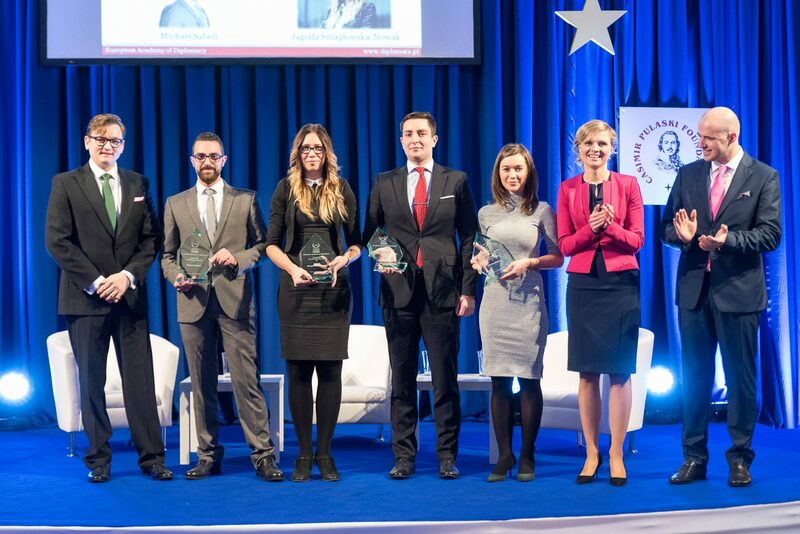 Ms. Natalia Kleina (Poland), Mr. Mateusz Krupczyński (Poland), Mr. Michael Safadi (Lebanon) and Ms. Jagoda Smagłowska-Nowak (Poland) received the 2015 Awards at the Annual Inauguration & Graduation ceremonies of the EAD’s Academy of Young Diplomats in front of more than 450 VIPs, Diplomats, Students and Alumni. Following the ceremony, the awardees enjoyed a private dinner with the VIP participants of the event, including PM Carl Bildt and Marshal Radosław Sikorski. Want to learn more about the Alumni of the Year or nominate a candidate for 2016? Visit the EAD Alumni Page for more info!